Matera is said to be one of the world’s oldest towns. The simple natural grottoes that dotted the gorge were adapted to become homes. In time, an ingenious system of canals regulated the flow of water and sewage, and small hanging gardens lent splashes of colour. 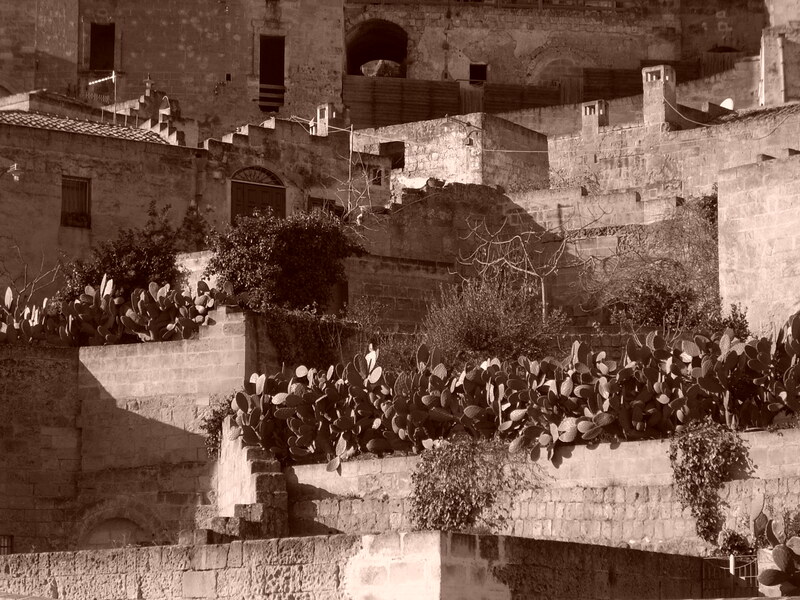 By the 1950s over half of Matera’s population lived in the sassi, a typical cave sheltering an average of six children. In the late 1950s about 15,000 inhabitants were forcibly relocated to new government housing schemes. In 1993 the sassi were declared a Unesco World Heritage Site.